Lobbyists told euractiv.com they were frankly surprised to find themselves praising Oettinger. Many had privately or publicly criticised him for at first struggling to grasp topics that fall into his portfolio, or for shepherding much less popular policies through the European Commission—like a week-old proposed change to copyright law that caused waves of upset from the tech industry and consumer groups. 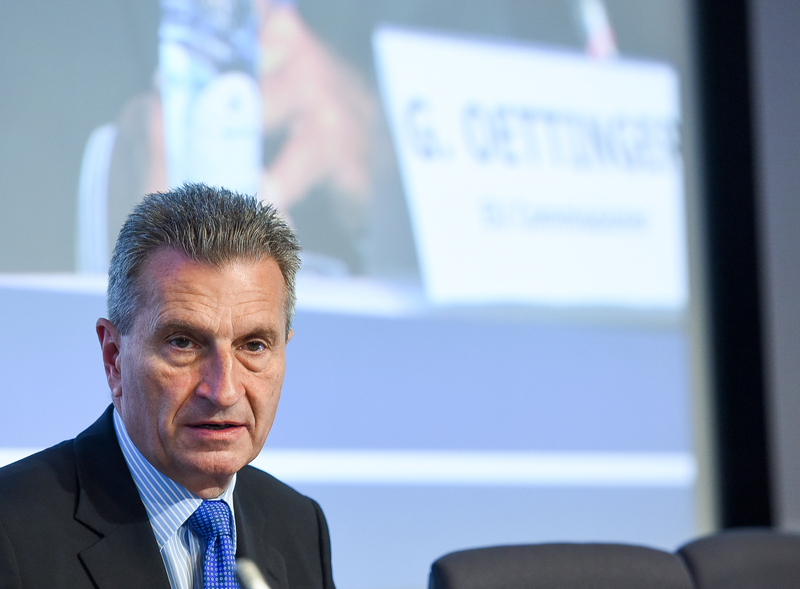 Telecoms lobbyists who have met frequently with Oettinger over the last two years say he has gone through a kind of transformation in recent months. When he first took office, he and his cabinet could be aloof and unresponsive, according to several sources. One lobbyist even started learning German in an attempt to ease contact with the Commissioner, who often prefers to give public speeches in his native language. But Oettinger seemed to gain a new sense of direction when he began promoting how the internet could transform Europe’s big industries in the face of competition from Asia and the US. Oettinger played a heavy hand in drafting the proposal. It oozes references to the Internet of Things, Industry 4.0 and connected cars. The bill is underpinned by a main argument: that connections need to become faster and have more capacity to support a digital pivot when cars, agriculture, and other big industries use more features that require the internet. To do that, the Commission is trying to push telecoms operators to invest in new, faster infrastructure. It also set out an internet speed goal for all households in the EU to reach 100 megabits per second by 2025—and for some places, like hospitals and schools, to have much faster gigabit-speed connections. What’s controversial is how to get to those speeds. The executive came out strongly in favour of fibre internet networks, but that could rub some telecoms companies the wrong way. Operators that still rely on older copper cables won’t want to give them up so quickly. One industry source called the unabashed push for fibre and fast internet “the highest political ambition” to come out of the European Commission in the last few years. 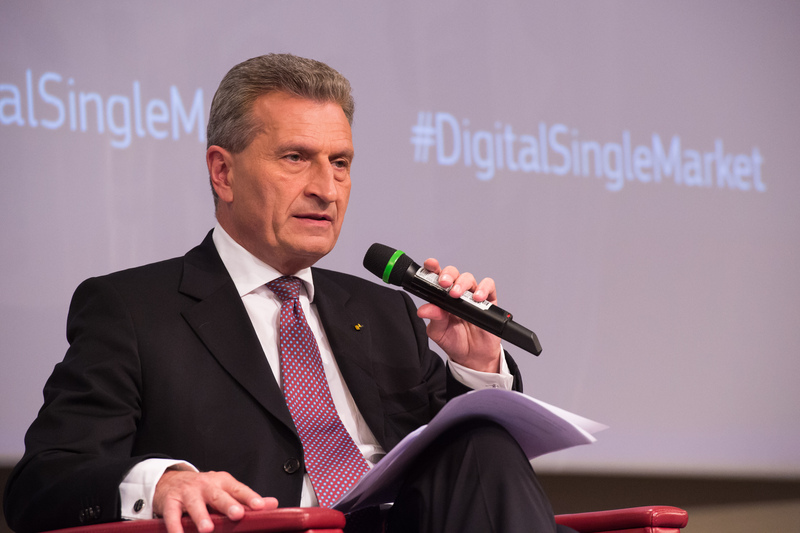 Oettinger started promoting the internet of things and connected cars more after he and Commission Vice-President Andrus Ansip presented their flagship digital single market plan last May. The original strategy paper doesn’t mention connected cars at all. “Industry 4.0 was not on the Commission’s agenda in the beginning of this term. But Oettinger has changed that now,” said Holger Kunze, head of the Brussels office of VDMA, an association representing Germany’s mechanical engineering industry. Some lobbyists who have met with Oettinger throughout his six-year tenure in Brussels say he might be comfortable with telecoms because of his previous post as EU commissioner for energy. “It’s clear as energy commissioner he was able to see the importance of connectivity in implementing energy policy based on smart grids and renewables,” said Gregoire Verdeaux, director of international policy at Vodafone. Verdeaux previously crossed paths with Oettinger when he worked in the energy industry. “In terms of proposals for actual legislation, I would say it’s the best we’ve seen so far,” said Paul Meller, spokesman for DigitalEurope, a trade association that represents tech companies including Google, Cisco, and Ericsson. New telecoms rules: bringing Europe's internet up to speed? 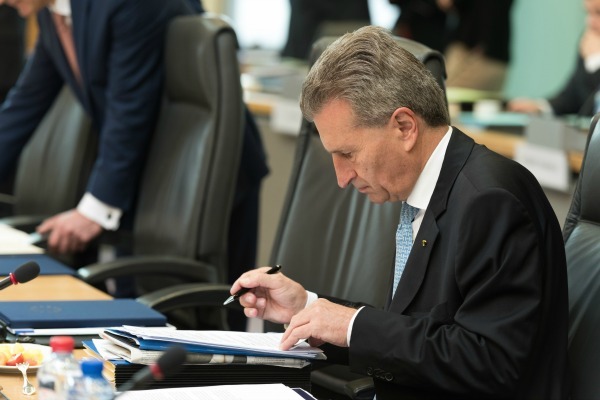 Oettinger has become known around Brussels for his frequent references to cars and for brokering a new agreement between the telecoms and auto industries. “His interest in connected cars to some extent stems from the fact that he’s from Baden-Württemberg, where a lot of auto companies are located,” said Marc Greven, legal affairs director for car industry lobby group ACEA. Before moving into the executive in 2010, Oettinger was minister-president of the industry-rich state in southwestern Germany where Daimler and Porsche are headquartered. One Juncker Commission source insisted that Oettinger is personally invested in how the car industry adapts to new technologies: he usually travels by car between Brussels and Germany and often complains about problems with shoddy mobile service while he works in the back seat. In September 2015, Oettinger set up a working group with telecoms companies and car manufacturers and asked them to thrash out a plan for speeding up the development of connected car functions. Several telecoms and car industry lobbyists in the group told EURACTIV they hadn’t been in touch with each other before, but now talk almost weekly. “It’s a very good example of bringing industries to work together that historically in the analog age did not communicate with each other. In the future they’ll have to work together more closely,” said Erzsebet Fitori, director general of the FTTH Council Europe, a lobby group advocating for more fibre networks. Oettinger already brushed with the car industry as EU energy commissioner. But some industry lobbyists said they were surprised he made connected cars his pet project once he became digital chief. “When he was appointed I didn’t personally expect it, but I think he understood as quickly as many observers of the industry that connected and automated driving would be something that develops quite fast and become very important for us,” Greven said. One year later, the group on connected cars is about to start planning cross-border pilot runs for cars using internet-based technology. “Things normally go much slower in Europe,” said one industry source involved in the meetings. Oettinger often speaks publicly about connected cars to drive home why Europe needs faster internet connections. Last week, the executive published a plan to have fast next generation 5G mobile networks around Europe by 2020. “There is not a single meeting where the commissioner does not speak to the importance of 5G, or of pushing connected cars,” one telecoms lobbyist said. Some critics might see Oettinger’s interest in the internet of Things as proof of his close ties to big industries, and especially to carmakers. Since he took office in autumn 2014, Oettinger met multiple times with lobbyists from German carmakers Daimler and Volkswagen, according to his online agenda. He met twice with the German Association of the Automobile Industry. While several telecoms lobbyists privately said they were happy with the Commission’s telecoms bill, some smaller operators warned that the new rules could endanger competition with big firms. Consumer group BEUC agreed. Guillermo Beltrà, head of legal services at BEUC, said the internet of Things and connected cars offer “numerous promises” for consumers, but that the European Commission still needs to work out some issues, like who owns user data and liability. Günther Oettinger is embroiled in a heated political fight that could result in a showdown with politicians in his home country next week over a major telecoms regulation. The German Commissioner’s work on telecoms has won him kudos from some of his staunchest critics. “He’s so far been far more open to the issues surrounding the ePrivacy directive than I would have expected. Maybe that’s because there’s a real need to build trust in the internet of things environment. There’s a huge amount of data protection and privacy issues built into that,” said Joe McNamee, executive director of European Digital Rights, an NGO that has butted heads with Oettinger over his take on other tech issues like copyright and net neutrality. Later this year, Oettinger will take on another telecoms law that could set him up for a fight with the industry. Telecoms firms have lobbied for the Commission to repeal the ePrivacy directive, a privacy law that applies only to telecoms operators. 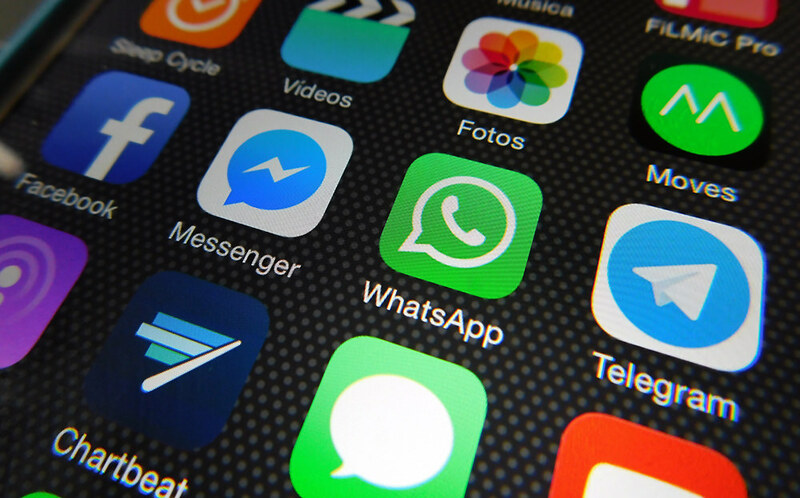 Leaked Commission memos indicate that Oettinger might be about to ignore the firms and instead expand the law to also apply to internet messaging services like WhatsApp and Skype.